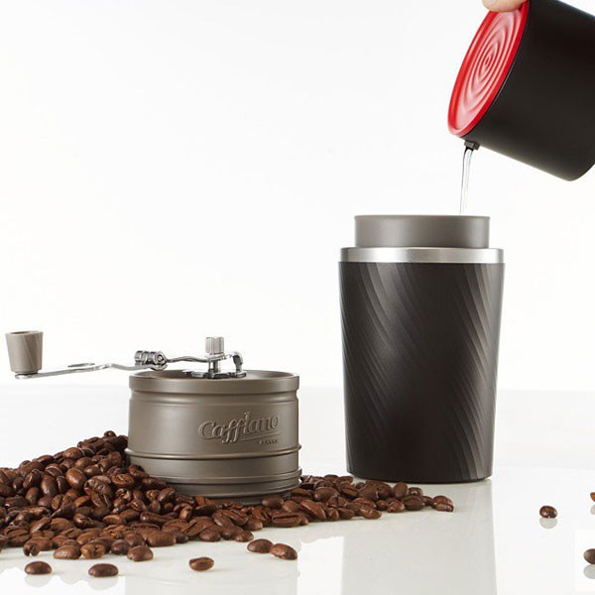 This is the Cafflano Klassic All-In-One Coffee Maker. 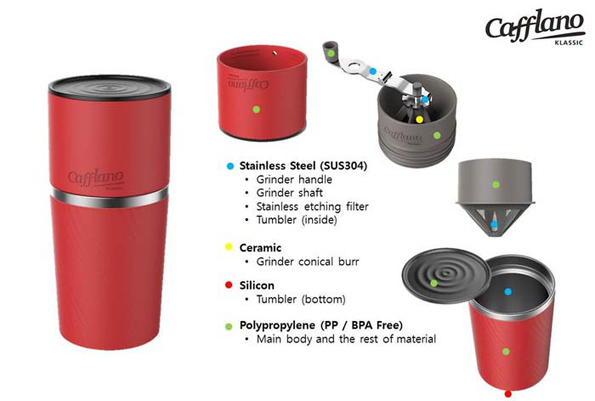 The mug contains a grinder to grind the beans, a drip kettle and filter to brew, and a cup to drink from. Smart! 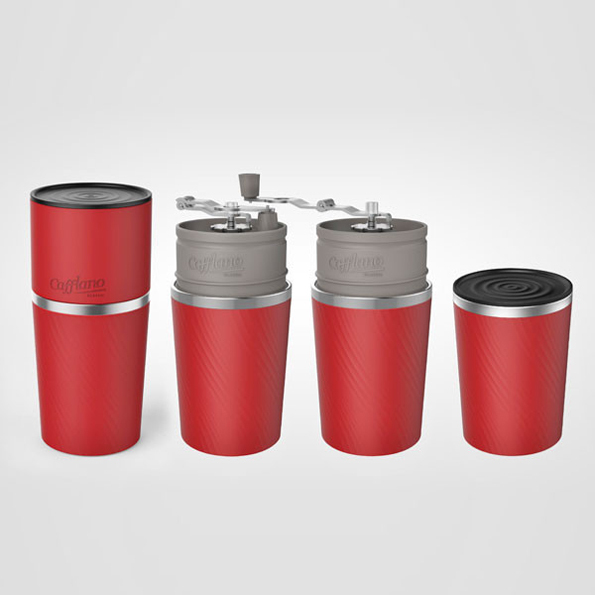 You can snag one from The Fowndry for just under $100. You know, if you can overlook the fact that they chose to spell classic with a K. There are some things I just can not forgive and that is one of them.